Since joining the Jackson Generals staff in February, I have studied the projected roster for the 2014 extensively in preparation for the upcoming season. One of the potential returning players I am looking most forward to seeing play in person is Jabari Blash. Blash is coming off a season in which he spent limited time– 29 games—in Jackson, however, managed to leave his mark offensively. 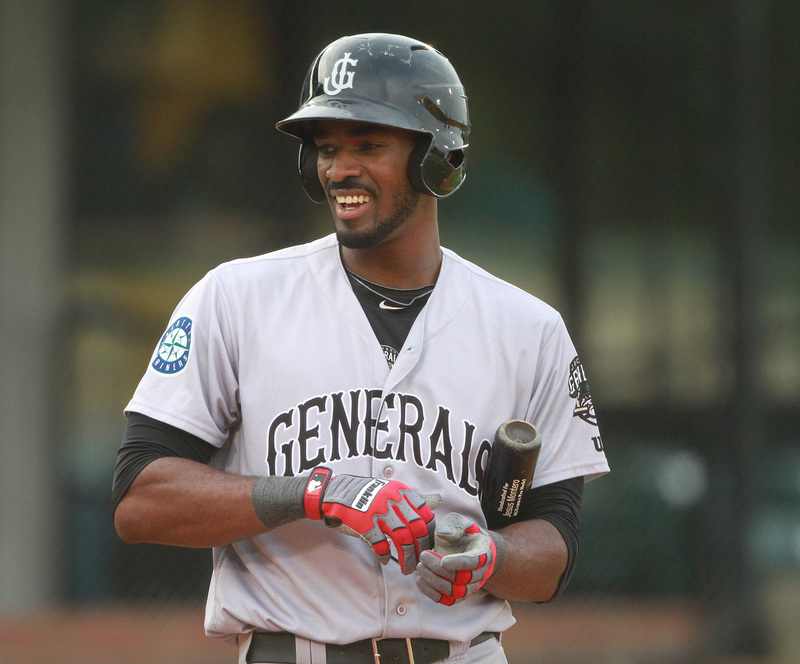 The 24-year-old hit for a .309 average, nine home runs and 21 RBIs while in a Generals uniform in 2013. Baseball America rated the 6-5, 224 lb prospect No. 19 overall among Seattle’s farm system and gave him a grade of 50 (Extreme). They also praised his athletic build and multiple set of tools including “big-time power potential”, an ability to run the bases well and a “plus arm”. 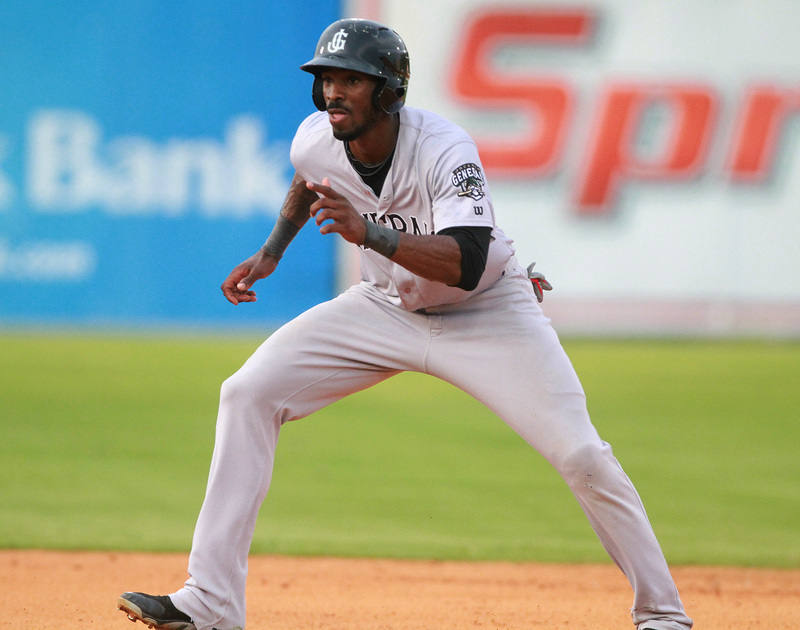 BA also mentioned that many scouts see Blash’s potential skills as comparable to former Cincinnati Reds great Eric Davis, who enjoyed a decorated MLB career that spanned 17 seasons. Blash received an invite to participate as part of the Mariners’ 40-man roster during Spring Training and went .250 with two hits, two RBIs, two walks and a .400 OBP in 10 plate appearances. But the biggest splash Blash made in Peoria came in an intrasquad game held on Feb. 25. Blash hit a long home run off of right-hander Logan Bawcom that, not only cleared two fences beyond the left-field wall, but also caught the attention of Mariners brass and media alike. Jabari Blash just hit a homer off Logan Bawcom that might land somewhere in Seattle. Adding to the already impressive shot is the fact that Blash shook off a hit-by-pitch earlier in the at-bat before taking Bawcom yard several pitches later. The development of Blash should be a treat for Generals fans to witness this season should he start in Jackson. However, fans may want to act quickly as it will only be a matter of time before the left-handed slugger finds his way to AAA Tacoma en route to a likely MLB career.